Natalie Ransom always has a smile on her face and exudes her bubbly personality. Photo by Kelsey Michelle Photography. Flowers communicate love and empathy, friendship and awareness. They are used for celebrations and commemoration and it takes a very special person to create these pieces of artwork for often stressful and exciting occasions. Natalie Ransom is one such person. 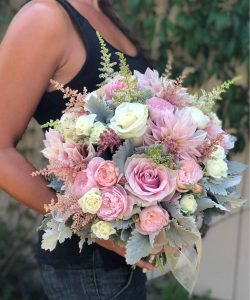 Pozie by Natalie is a floral design company, created, directed and run entirely by Natalie, a transplant from the Upper Peninsula of Michigan. She’s proud to call herself a Yooper, has long blonde hair and glittering blue eyes, and rough hands. 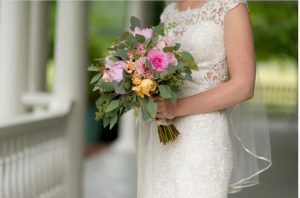 Raised on a vegetable and flower farm, she always knew she wanted to be a florist and learned the business early on from her father, with whom she fondly remembers foraging the forests for blooms and inspiration. Though she’s never taken a formal flower arranging class, her social media and website photos speak for themselves. “I take pride in doing what I’m doing each time I take on a new project.” She said. “The client can tell me as much or as little as they would like to. 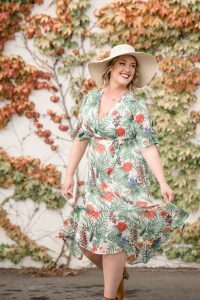 I can work with it.” Natalie works often in the wedding industry, outfits special events, awards ceremonies and offers same-day delivery for birthdays, anniversaries and other special occasions. However, It’s not all fluffy foliage and pretty petals. “People don’t realize how much hard work it is,” she said. “It isn’t just playing with flowers. Its ordering them, knowing your seasons; they’re delicate so processing and arranging a very perishable breakable item which isn’t cheap is also very difficult. It can often be dangerous with ladders and climbing to arrange things.” Even just getting the flowers to her workshop can be quite the adventure as Natalie still forages out in the county all year-round, acquiring native blooms for all-season arrangements. Natalie credits one of her mentors, Pamela Felke, owner of Crave Catering, her former place of work, as a huge encouragement and support system for her success in creating her own business. She knew that one day, she wanted to be her own boss. She never was one to be a follower of others. Natalie navigates the online world with ease, designing her own website and maintaining her social media presence. “I want it to be personal, just me.” Natalie takes great pride in her relationship with the Whatcom community. 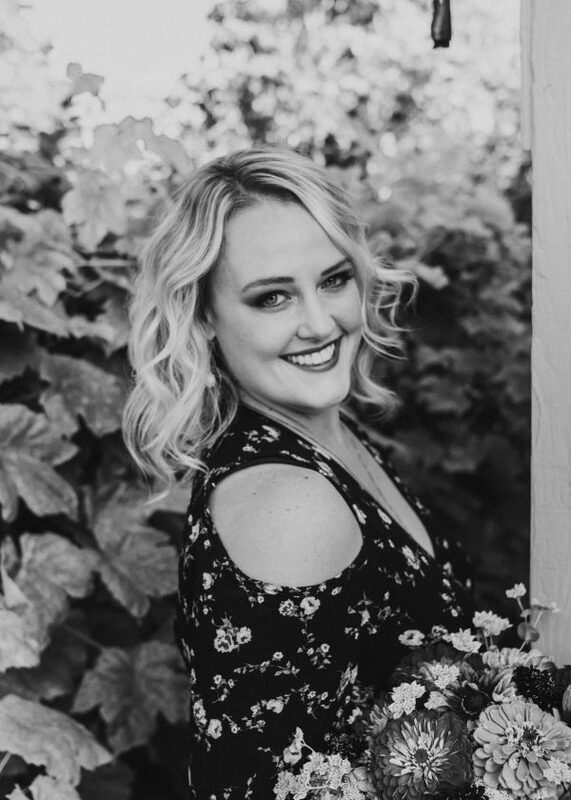 Natalie’s 10-year history with the Bellingham Regional Chamber of Commerce is one she treasures, as she worked with them when she first came to the area, getting to know local businesses and people through the Chamber community. Giving back to the community that has given so much to her is very important to Natalie. She often donates her time and flowers to various events and fundraisers. She calls this “floralanthropy” and enjoys working with organizations such as Lydia Place, The Boys and Girls Clubs of Whatcom County, Lighthouse Mission Ministries, Brigid Collins, Whatcom Dispute Resolution Center and many more.